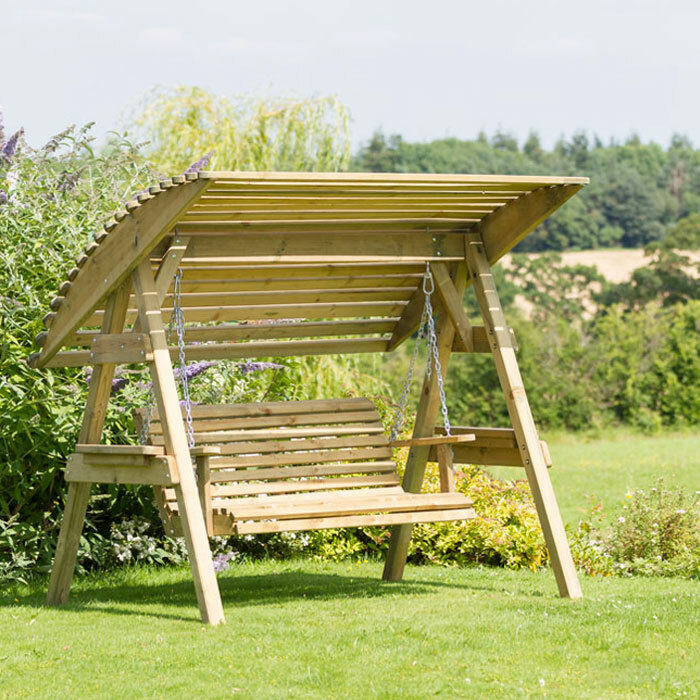 Zest 4 Leisure Miami Swing Seat offers a stylish and natural wood feature for any garden, patio or balcony. 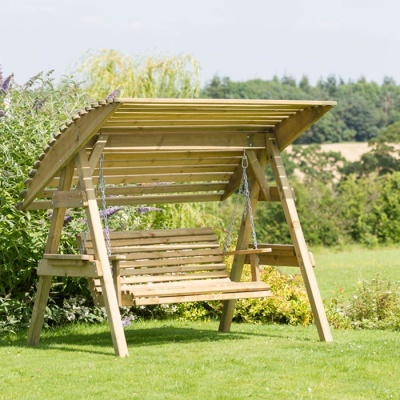 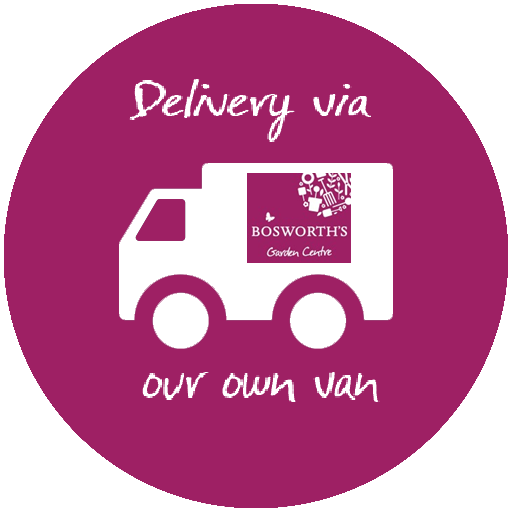 Constructed using pressure treated timber, FSC sourced from well managed forests. 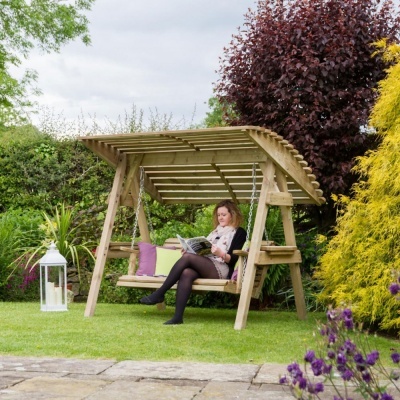 Comfortable outdoor garden seating for two people, complete with wooden canopy, offering the ultimate in garden relaxation. 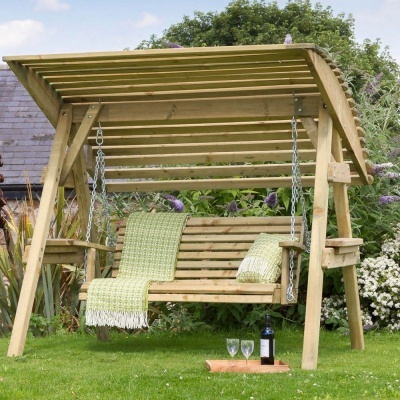 Steel non-rust chains reliably suspend this delightful swing seating, and the structure also incorporates two removable side shelves.